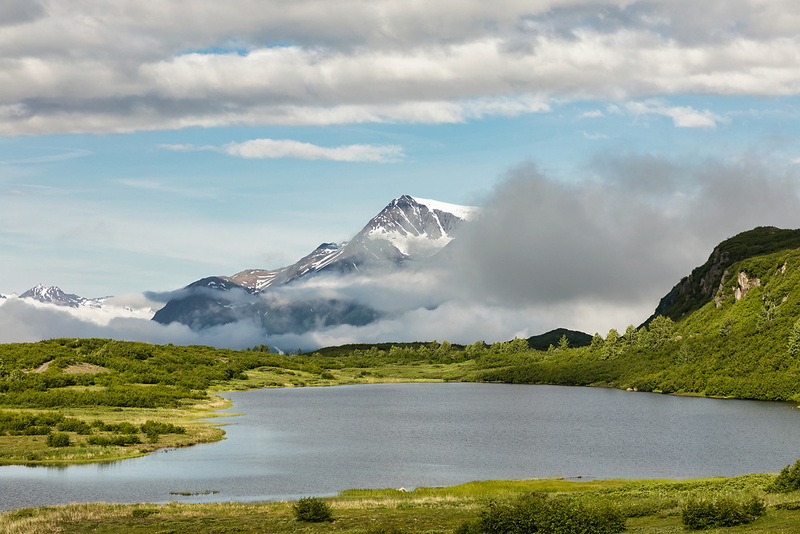 Clouds part in Thompson Pass to reveal Hogback Glacier near Valdez in Southcentral Alaska. Summer. Morning.